Majorca offers you all kinds of activities. You can either enjoy the splendour of sport,nature and culture or get tanned on one of the beaches. What makes your holiday successful? Perhaps relaxing under the Spanish sun in the garden of your villa while your kids are having a refreshing dive in your own swimming pool? Having a spectacular day trip to Soller with the electric train that goes along the west coast of Majorca and visiting one of the picturesque villages? Partying in the vibrant night-life of Palma de Mallorca, el Arenal or Magaluf? – Feeling close to the local population on one of the terraces in Alcudia? 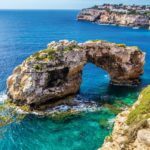 Conquering the undersea world of Mallorca while snorkelling or diving and trying other water sports? The good thing is that this is Mallorca! With its charm and versatility Mallorca has conquered the whole world and is still one of the most popular holiday destinations in Europe. The local government does its very best to protect the nature and traditional buildings, instead of replacing them. Enjoy the Spanish life on Mallorca. Imagine that you’re on the beach of Portals Nous, a gold-coloured sandy beach,with turquoise water and as apogee, on one side, palm trees and, on the background, an area of dunes. The perfect holiday paradise where you can enjoy a delicious picnic, play a match of beach volleyball or, equipped with your snorkel, fins and goggles, you can discover the undersea world. Yes, you’re reading it well; even Mallorca is not withheld from snow. If you like the winter, you’ll find colder temperatures and snow at the highlands of Serra de Tramuntana. Just like on the rest of the island, temperatures are the lowest in February. The rain seasons are from March till May and from September till November, though November is considered the wettest month of all. But as they say: “after the storm comes the calm”, which is, in this case, the sun! 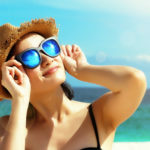 With an average of 2.783 hours of sun a year, temperatures during the summer remain between the 17 and 30 degrees. Some days, the thermometer even reaches 35 ºC or more. Fortunately, this climate is bearable thanks to the air displacement above the island; a cool breeze during the summer ensures a bit of refreshment between 12 a.m. and 6 p.m.
Vamos a la playa en Mallorca! Is your air mattress inflated? Have you reserved your sun lounger and parasol? Do you wear your coolest beach outfit? Don’t forget your giant beach towel and a well filled beach bag. Snacks and refreshments can’t be forgotten while sunbathing with some nice music on your IPod or while reading your favourite tabloids. 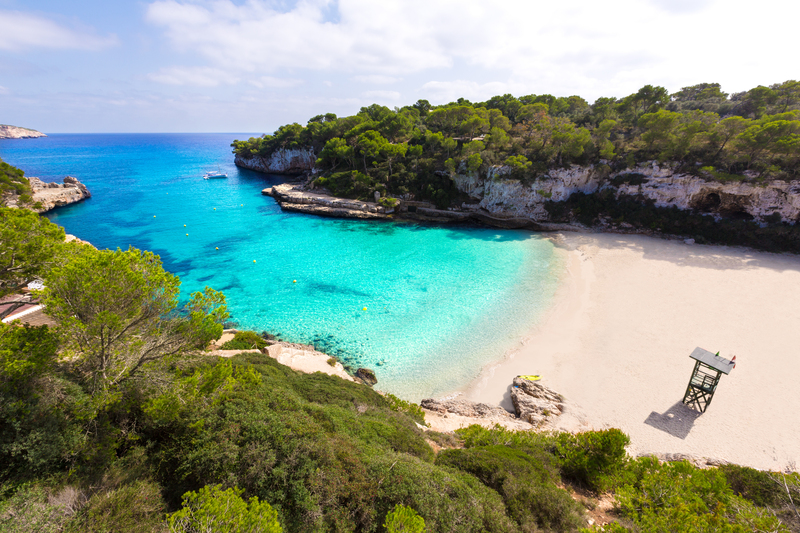 The most famous beaches are Playa de Mallorca, Magaluf, Alcudia, Santa Ponsa, El Arenal, Playa de Palma and Can Pastilla. Though, Son Moll is also very popular with tourists. This is not only because of its beauty and the soft breeze at noon that makes the temperatures pleasant, but it’s also due to its water sports,facilities and great night-life afterwards! The beaches, in general, have many facilities, swimming areas (indicated by buoys) and, during the summer season, lifeguards to guarantee your security. Most of them also have the so-called “blue flag”, which means either good facilities or clean beaches! And two very nice details are that most of them are accessible for disabled people and they’re also well connected by public transport. Another corner of the veil: surf fanatics pay attention, in the protected nature park of Cala Mandia you can surf terrifically! Naturally, if you like high waves, you can also spend a great time there. The beach of Es Trenc is not only a good option for snorkelling, diving or surf but it’s also very famous because of the yearly sport event called la Volta Ciclista de Mallorca. The whole area, during this event, is visited by very skilled cyclists. That’s a nice added value, if you enjoy watching the sweaty super fast cyclists passing by. Big names have passed this road, like Laurent Jalabert, Alex Zülle and Alejandro Valverde. How are going to spend your holiday on Mallorca? A day of rest is also allowed, you’re, in fact, on a holiday where everything is allowed and nothing is obliged! It’s always nice to wear a t-shirt in which it’s written “I love Mallorca”, after relaxing in the swimming pool or after spending some quality time with your friends or family. Not to mention, after a photo shoot on a terrace, on the beach or in your villa. Don’t forget where you’ve been and to take something with you from the Spanish life of Mallorca! Simple does it all. 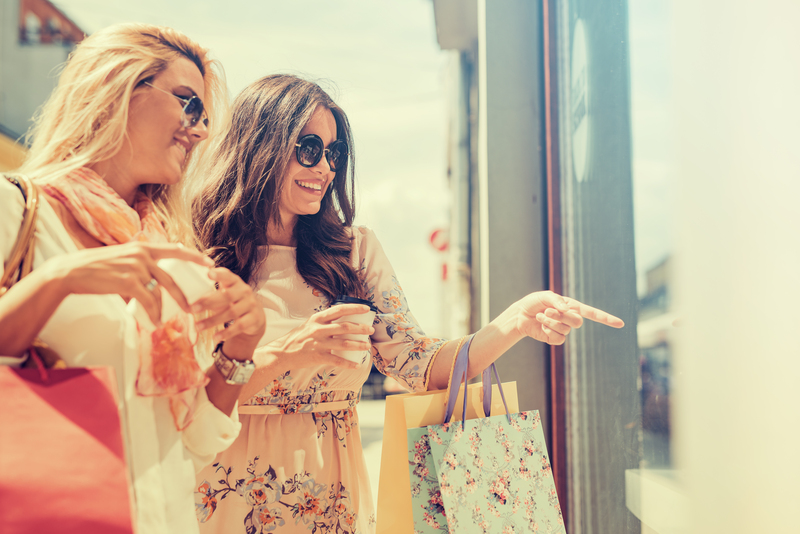 Shop till you drop and treat yourself on some tapas on a terrace or explore the restaurants and their food and intimacy. The place to be is the “Plaça Major”, in Palma de Mallorca. 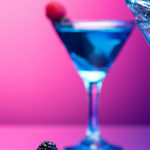 During the evening, you can also have an after-dinner chat or a nightcap in one of the many bars. The atmosphere becomes even better thanks to the night market. Many times, these market stands will be surrounded by the ultimate touch for a good atmosphere: live performances from local musicians. It’s obviously really entertaining and nice to watch at, so having a walk around this area is certainly desirable. Have an evening stroll around the city walls from the 16th century and get as dessert an amazing panoramic view of the bay. 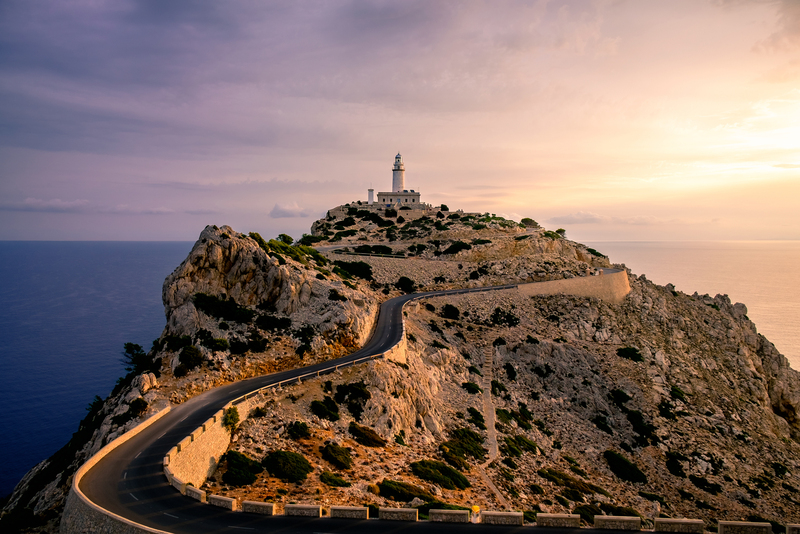 Even if you’re not a philistine or you don’t want to do much, take your chance, now that you’re on Mallorca, and discover the soul of this Spanish island. The spectacular route with the electrical train through the west coast, from Palma de Mallorca to Soller. 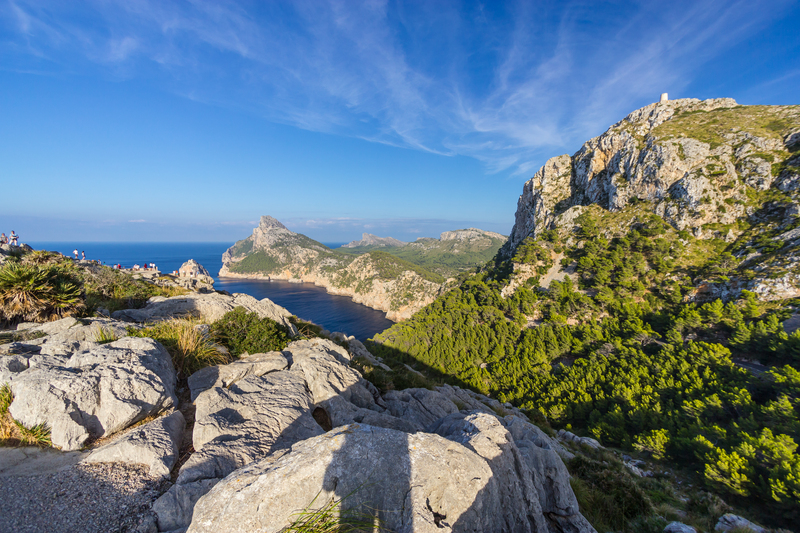 This sublime connection passes through the Serra de Tramuntana, which has as highest top the Puig Major (1.445 m), which is, by the way, also the highest mountain of the island. The Mirador de Ses Basses is a viewpoint where you can enjoy the sight of the Puig d’es Teix (1.062 m). This is one of the most visited touristic attractions. Some of the dripstone caves. Europe’s biggest ones are the Coves del Drac, which are between Manacor, Felanitx and Porto Cristo. They have dripstones distributed in 4 different areas and they’re 39 m deep and 177 large. It’s a very interesting visit because of the boat trip that you can have on its lake. They’re called Coves del Drac (Dragon’s caves) because, according to the legend, there’s a dragon keeping the treasures safe from the intruders. The village of Felanitx, which is famous because of the Renaissance architect Guillem Sagrega and the painter Miquel Barceló. The Coves dels Hams, which have stalactites of 500 m long. A very special farm called “La Granja“, nearby Esporles. If you prefer comfort choose for the Palma de Mallorca’s Hop-on Hop-off Bus. You’ll be able to go in and out in 16 stops and get some interesting information in Spanish, Majorcan, English, French, German, Italian, Swedish or Portuguese. Don’t forget to follow the directions that the audio guide indicates and you’ll see the most interesting places! The Palau de l’Almudaina (Palma de Mallorca, Carrer de Palau Reial). The palace is nearby la Seu and it’s still the official royal residence. If you want to complete the Spanish royalty tour, you can visit the small museum Capitania General and the royal chapel of St. Anne. Go back to the past and feel the Arabic influences of those times. The Banys Arabs used to be part of the palace, during the 10thcentury. They’re the only heritage left from the Arabic city Medina Mayurga. Basilica i Claustre de Sant Francesc (Palma de Mallorca, Calle Morey).This church has the right to exist in Palma de Mallorca since 1278. Your visit will be rewarded with the 14th century monastery and the tomb of Ramon Llull. From the moment you arrive, you’ll be welcomed by a precious baroque façade. Castell Bellver (Palma de Mallorca) offers you an amazing sight of the Terreno and the bay of Palma de Mallorca. This monumental building has been a prison in several occasions because of the distance to the city centre. Right now, it’s not a prison anymore so, don’t worry, you can pay a safe visit to it. We’ve already mentioned “la Seu” a few times. La Seu is the face from Palma (Palma de Mallorca, Plaça de l’Almeina), just as the Sagrada Familia is the face from Barcelona. Coincidence or not, Antoni Gaudí has also contributed in the creation of this big and beautiful cathedral designed by Guillermo Sagrera. Guillermo Sagrega is also the architect of the Llotja (nearby the harbour of Palma, Paseo Sagrera). 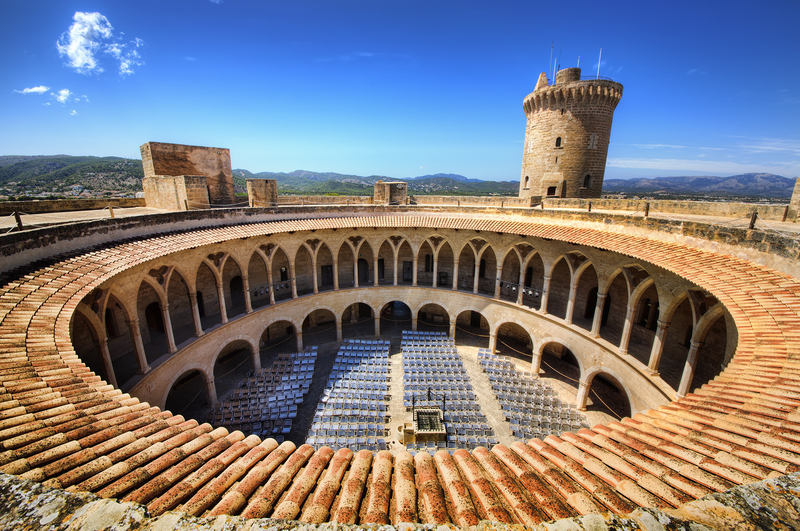 This spectacular market building gives you the idea that you’re in the medieval times. It has a Moorish influence and a wonderful sight with palm trees and other plants and grass around it. Nowadays, even the inside is an attraction for art lovers because, actually, it’s a museum. Hint: the museum is closed on Mondays. Visit the biggest aquarium of Europe: Palma’s Aquarium (nearby the airport of Palma), with its diversity of more then 8.000 species. There, you can find: fishes, coral, turtles, sharks and other fauna and plants (exposed by themes, in which the aquarium is divided). Park Nacional i Marítim de Cabrera: the island belongs to a protected nature reserve. You can spot uncommon plants, reptiles and birds. And it’s also an ideal place to snorkel or dive. Visiting the national park is for free but, as it’s protected by the government, you can only walk around with guides. You can reach it by boat from Colonia de Sant Jordi (the trip takes about one hour). If you want to enjoy a view of Cabrera, the best place is from the beach of Es Trenc or Sa Ràpita(in Mallorca).If you’re into travelling with Mallorca’s public transport, how can you travel from A to B? You can use the train, the underground, the bus or you can rent a car or a scooter. Most of the Villamar’s holiday villas have their own garage or the facility to park your vehicle on your own ground. Don’t forget you’ll need your driving licence or certificate to drive and rent a scooter. Make sure that you take a good insurance when you sign the renting agreement. And don’t forget to mention the passengers! Click here for more details, time tables and information about stops. You’ll find beautiful nature in many places in Mallorca. Mirador de Ses Animes, between Estellencs and Banyalbufar, it’s a watch tower. Mirador de Ses Basses, which is reachable by foot from a stone path. From there, you’ll be able to sight the tops of the mountains of Tramontana. Mirador de Ses Puntes, you can get there by foot from Valdemossa. Talaia d’Albercutx, which is on a top of 1.000 m height. You’ll find an aristocratic property with a Moorish touch in the Jardines de Alfabia. It’s an ideal place to take pictures, relax and have a walk in the nature. Wander through the Serra de Tramontana and discover more hidden natural treasures. From these places, you’ll enjoy immense and attractive panoramic views with a precious variety of rare animals and plants. In other words, don’t forget your camera to make pictures! If it’s too hot for you on the low altitudes, then a trip to the higher points, such as the Puig Major, is certainly a good idea. Remember that every 100 m, temperatures descend half a degree. The highest top of the Serra de Tramuntana is the Puig Major (1.445 m above the sea). During the winter, the biggest climate difference respect the rest of the island is the snow, so you don’t have to be surprised if you see the Serra de Tramuntana completely white. The 90 km of highlands are divided into 13 municipalities, which are reachable by foot or with the electrical train. It’s also possible to get there by car, but it’s more complicated. One of the stops of the train is Port de Soller, which is at 27 km of Palma de Mallorca (1 hour by train, more or less). The Santuario de Lluc (the monastery of Lluc) is known as the spiritual heart of Mallorca. This pilgrim centre is visited by many people because of its portrait of “la Moreneta” (the Black Madonna), just as the church on the mountain of Montserrat (nearby Barcelona), which also has a similar image. Even if you’re not that religious, it’s worth to travel these 35 km to the north-east of Soller. The area of the monastery, from the 13thcentury, is also perfect to have a walk or do a bike tour. Many parts of the island are still authentic and virginal; the purity and the charms of Mallorca are conserved there. Also, thanks to the authorities, some of the picturesque villages and streets, cathedrals and churches, monasteries, museums, nature reserves, palaces and castles and other monuments are totally preserved. There aren’t that much museums in Mallorca, but the whole island is very rich in culture worth to visit! Alcúdia is a fantastic city that’s surrounded by medieval walls, from the 14th century, and has two big gates. In Palma, the Plaça Major / Plaça del Rei is the symbol of the old town. It’s comparable to the square with the same name in Madrid. Both of them offer a very good atmosphere with their cheerful terraces, Spanish restaurants and their shops. Through the whole city, you’ll discover many churches, fountains, stately homes, inner courtyards and government buildings. Because of the many invasions that Mallorca has suffered over time, these buildings have many different types of influences. There are many bakeries where you can try the “ensaimada“, you’ll find them for example, in the Passeig des Born. This typical Majorcan sweet is made of a spiral shaped bread covered with icing sugar. Maybe you’ve already fallen in love with Mallorca or maybe it will happen soon. That’s what happened to Joan Miró. Joan Miró is an important painter and sculptor from the 20th century art of Barcelona. The bright colours that he uses are all around Barcelona like, for example, in his art piece “Dona i Ocell” (woman with a bird). He was born in Barcelona, but he died completely in love with the island in 1983 (in Palma de Mallorca). In the Fundació Pilar i Joan Miró of Palma, you can enjoy several of the works of this impressive artist. Are you rather a fit person? Have a walk in which you can literally go through the whole year with its 365 steps. These stairs lead to a precious chapel in Roman Gothic style called Calvari. Are the stairs a bit too much for you? Don’t panic, there’s also a road to the top. This beautiful pilgrimage church is the-eye-catcher of Pollença. This city has its own culture and atmosphere, which you can observe if you walk over the promenade and, on your left, sight at the fantastic 19th century buildings. Finally, Pollença is also a great departure point to have a walk to Formentor or a trip to Port de Pollença. On the Spanish island Mallorca, you won’t find a museum in every corner of the street. Neither is the island known for its culture. But the important thing is not the quantity but the quality! And Mallorca does it very well with its Museu de Mallorca. When you arrive to this museum, you’ll be directly fascinated by the building itself. Later on, you’ll be completely attracted to the multicultural art, the medieval baroque paintings, the archaeological findings, the ceramic collections and many more. Casa Museu Joaquim Torrents Llado (Carrer de la Portella, Palma de Mallorca). CCA Andratx Art Centre (in Andratx). La Casa de Robert Graves Museum (in Deia): This is where the writer and poet Robert Graves lived and where he’s buried. Museu d’Art Espanyol Contemporani (Carrer de Sa Portella, Palma de Mallorca), which has expositions of many painters and sculptors. 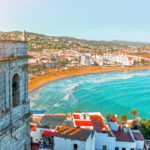 It has art pieces from not that famous artists as well as from really famous artists like Pablo Picasso, Joan Miró or Salvador Dalí (originally from Figueres, a village situated on the north-east of Spain, on the Costa Brava). Museu de Son Fornés: it’s the archaeological museum. Museu Krekovic (Carrer Sant Miquel, Palma de Mallorca). Suggestions: As in many other countries, the museums and other cultural places are usually closed on Mondays. Many villages have weekly markets where you can find everything you desire. Mallorca does what she’s good at. With so many years of experience with tourists, Mallorca will certainly know how to entertain you and the other visitors. Majorca just gives that extra touch for you and the local population. It offers you its leather and shoes industry, its traditional art of glass works and ceramic. Art beads are also very popular merchandise and you can find them on the market at the Passeig per l’Artesania. Do you love to shop? 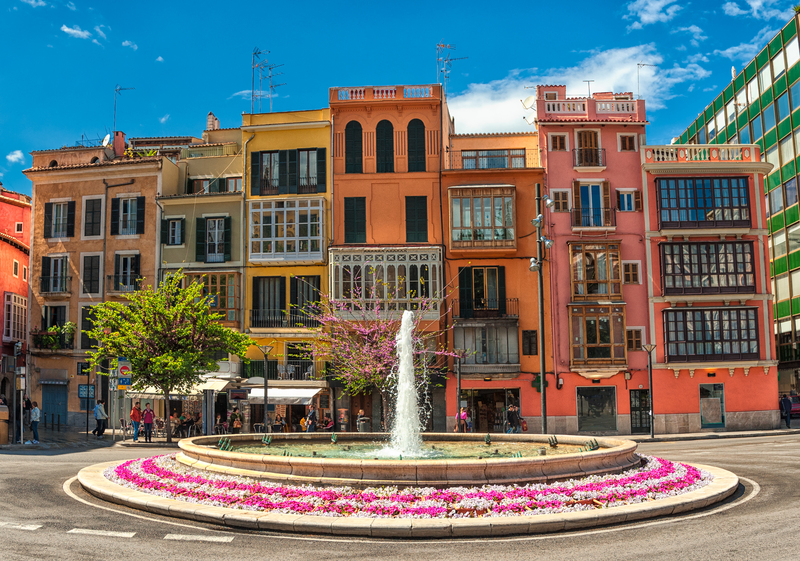 If you want modern clothing, accessories and more, you can try the main street of Palma de Mallorca. There are many brands and all kinds of typical clothing shops in the small streets. On the main street, Carrer de Sant Miquel, you can shop culturally. In other words, you can go in and outside the shops and alternate it with wandering through the mysterious cultural streets. Are you crazy about luxury brands? Don’t forget to have a walk through the Avinguda Jaume III. Because of the heat, shopping can become a true sport when trying the clothes in the fitting rooms with 30 degrees or more. Do you want to buy a lot, even if the temperatures are very high? Luckily, there are also shopping centres, like Centro Comercial Porto Pi. Because of all the beautiful nature in Mallorca, it’s very tempting to sport outside. Torrent de Pareis is a really adventurous day trip! When the weather is dry, the chasm is an amazingly beautiful image. But when it rains, the chasm gets flooded! So, it’s a matter of life or death to know the weather conditions and check the precipitation radar before you go. A good preparation and being attentive are the only things you need to enjoy this nature treasure. If you have less experience in hiking, we recommend you to take the organized excursion to the Torrent de Pareis. 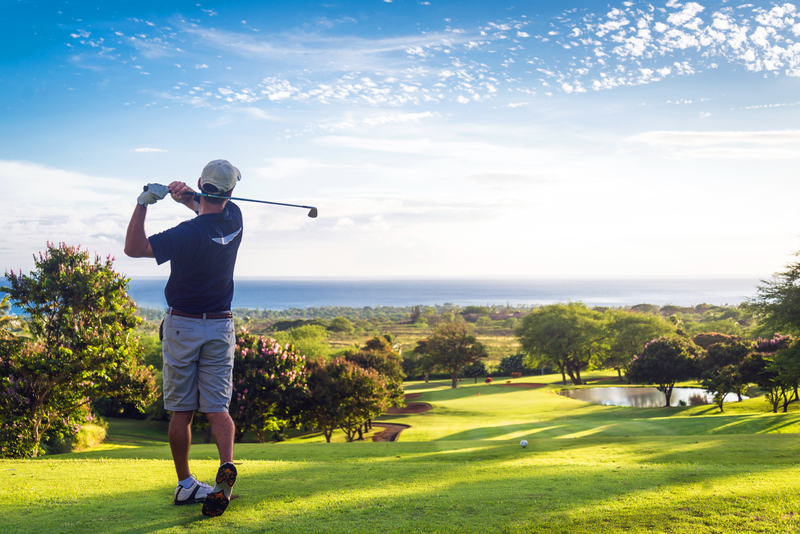 Golf is hot in Mallorca; so, at the moment, you’ll find many different golf courses. It’s a bit different as on the Wii or the PlayStation, there are many places where you can enjoy nature while you’re hitting on the ball. Or like in my case, while trying to hit on the ball. To tell the truth, during your stay, you’ll be surrounded by beautiful turquoise water or even clear green water. To those who haven’t got any experience in diving, this is the best chance ever. Do you love diving? Then, you’ll be certainly rewarded with an amazing dive. To those who prefer to be on the water, instead of inside, you have to possibility to sail or have a cruise on a catamaran; though, this doesn’t guarantee you won’t get wet! If you’re a trained person or you love challenges, hire a bicycle and discover Mallorca’s secrets in the inland. With your mountain bike, you’ll get to places were you’d usually need a lot of time to get to. At the so-called Oficina de Turismo, you can get free cycling routes. Of course, you can also wander, get lost and discover amazing places. Where you can get with a bicycle, you can also run to. Just as the cycling routes, you can also get walking routes, in the Tourism Offices of Mallorca. Either if you decide to follow the map or your orientation instincts don’t forget to take good equipment and, of course, enough water for your trip (especially during the summer). 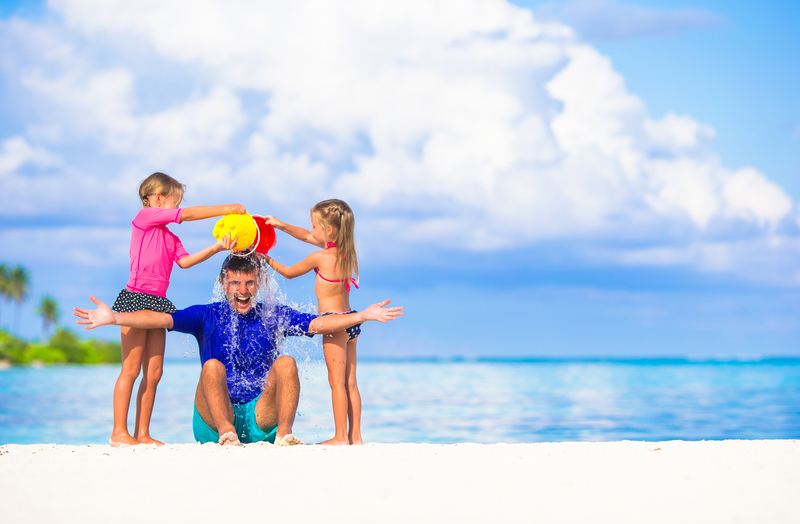 As long as the kids have fun, you’ll be having a restful and nice holiday. Mallorca is THE family-friendly island. Most of the beaches, all around the island, have many activities for kids. There are also many water parks: Marineland(Costa d’en Blanes), Aqualand (El Arenal) or the Hydropark (Alcudia). Another possibility that kids love is Palma’s Aquarium, where they can learn about fish and other sea animals. Another good idea is going on a glass bottom boat, during the boat trip from Pollença to the beach of Cala Murta. There, you can have a dive into the water or, with your fins and goggles, snorkel while observing the fish. There’s always somebody who can make the pictures from the boat, so it’s not an excuse to not jump into the water and have fun! 6) Let the beat drop… on Mallorca! In Mallorca, the sentence “sleeping is a waste of time” is true. 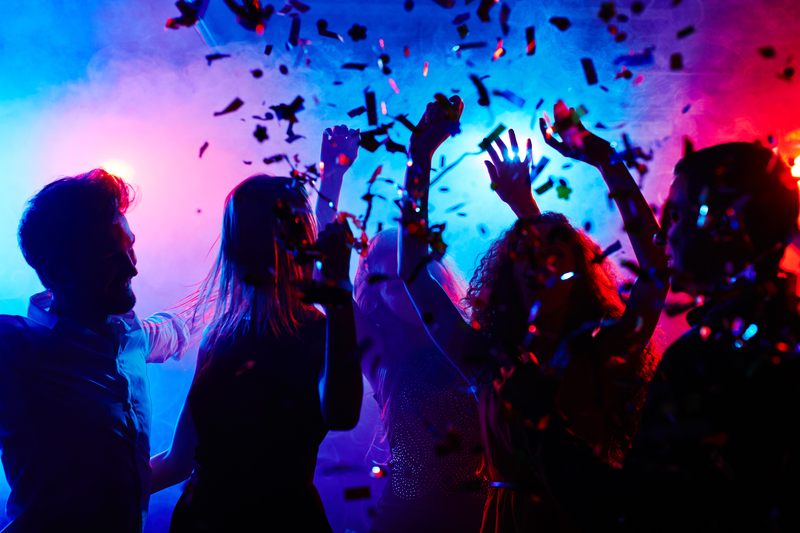 The night-life in famous party places like Palma de Mallorca, el Arenal or Magaluf goes on from early in the evening till early in the morning. One of the best clubs, BCM Planet Dance (in Magaluf), is certainly from the same category as some of the clubs in Ibiza. If you’re looking for something more exclusive, try Tito’s in Palma de Mallorca. A club that you can’t miss in this tour is Pacha Mallorca (from the same chain as Pacha Ibiza, in Eivissa city). One thing that’s for sure is that every single bar, club or pub has its own charm. Not everybody looks for the same kind of night-life and not every night has to be spent in a club. In Cala d’Or, you’ll find many clubs and bars to switch from. What is not that easy to switch from is the night-life area. If you’re around the old harbour, you’ll certainly find something good every night, there are so many clubs, bars and lounges there! Mallorca was and still is the perfect Spanish island with an attraction power of thousands visitors a year. In which part of the island are you going to stay this summer? So you’ve already noticed that the island Mallorca is very big (3.640 km2) and rich in possibilities for your holiday. So whether if you come alone to get tanned and have a drink or read on a paradisiacal beach; or you want to spend a lovely time with your family and friends with a daily adventure; or even if you want to rest and come back completely Yin Yang: Mallorca is made for you! Open your heart to this fantastic island with all its kids-friendliness, beautiful inland, vibrant night-life and infinite sport possibilities. And, if all this is not enough, you also have the joy of a pleasant climate and the typical Majorcan multicultural atmosphere. Live to see what many visitors of Mallorca have been experiencing. But it’s understandable that you want it your way, so stay in one of our private villas. This way you’ll keep your privacy and independence. Rent a car and have a safe place to park it. Your children will have space to play. You’ll enjoy till late at night your self-made barbecue meals. And as icing on the cake, refresh yourself in your own swimming pool. Book a ticket to the airport of Mallorca (IATA: PMI, ICAO: LEPA), nearby Palma de Mallorca. It’s officially called Son Sant Joan Airport, but the local people call it Palma de Mallorca’s airport. Another option is to sail from the mainland (from Barcelona or from the Costa Blanca: Denia or Valencia) to Majorca. Once you’re in Mallorca, you can travel to your villa by public transport, taxi, transfer bus or with a hired car. Click on the following link to get more information about the villa of your dreams!